The markets have been rallying smartly off late, with the benchmark NSE index, the Nifty, at all-time highs for the last four trading sessions. There is lot of talk of the markets been bullish on account of the upcoming elections, and forecasts of Modi-led BJP victory. Although, there may be no denying the fact that the upcoming Lok Sabha elections are one of the reasons for the market rally, but I would like to share a slightly different prespective to the current market up move. Six-months back, the Nifty peaked around 6,300-odd levels in the month of October 2013, after the second quarter results for FY14 were announced. The markets thereafter consolidated for the next three months in the range of 6,000-6,415 odd levels, by then the third quarter result were also out. It can be argued, that by then a lot of discount with regards to the full-year earnings for FY14 was factored in during the consolidation phase. The Nifty after touching a low of 5,933 early in the February, gradually started to move up, and in the first week of March, the index gave a fresh breakout by clearing the hurdle at 6,400-odd levels, and soon rallying past the 6,500-level. 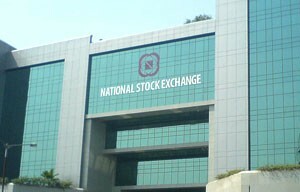 Thereafter the Nifty has managed to sustain above the 6,500-odd level, and now steadily it has crossed the 6,600-level. Today, by the end of the expiry for the March futures and options contract, the markets continue to remain strong and have consistently trade with a firm bias. In the last six months, there were two major upward movement in the Nifty – first in October, when the index soared almost 10 per cent, and now in March 2014 – wherein the Nifty has surged over 5.5 per cent. As of 1150 hrs on 27 March, 2014, the Nifty is up 41 points at 6,643. In relative terms, the BSE benchmark index, the Sensex has gained nearly 5 per cent so far this month, and is now over the 22,000-mark for the first time in history. Today the BSE index is up around 100 points at 22,190-odd levels – refer the BSE Sensex chart for intra-day movement. One common factor in these two rallies is the Rupee appreciation versus the US dollar in both these months. In the month October and November 2013, the Rupee appreciated by 11.00 per cent versus the US dollar, following government imposing fresh import duty hike on Gold. 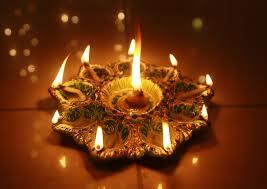 This month so far, the Indian Rupee has neared the $ 60-mark – a level last seen in July 2013. The recent rally has been on account of various factors such as – reducing current account deficit (CAD) as Q3 Current account deficit dropped to 0.9 percent, and stands at the lowest level in eight years. Steady fund flow by FIIs (Foreign Institutional Investors) during the month of March. 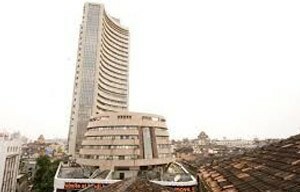 While the above two factors aided both the Rupee and the stock markets on fundamentally basis. There was a third technical reason which also aided the current up move for stocks – short covering by FII as data of NSE F&O open interest shows that FII open short positions in stock as well in Nifty futures is now is largely covered. As of now the, markets have not shown any signs of weakness, and may remain firm for the next few trading sessions. However, the markets may find some resistance and may consolidate before they start correcting as the Nifty hovers around the higher-end of the Bollinger Band, both on the weekly and the monthly charts. The verdict may be to remain invested and not short the current market, but also remain cautious as markets are trading near significant hurdles. 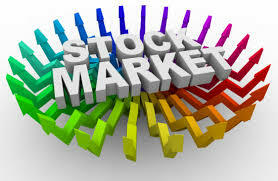 Investment consultant and market analyst with almost 25 years’ experience in the equity markets. Commerce graduate by qualification, entered markets as a jobber way back in 1990, got evolved with the changing dynamics of the markets, and now act as a friendly investment consultant to share un-baised analysis of stocks for trading and investment purpose. « Gold Prices Going Downhill, Is it Time to Buy Gold?